This tutorial is for BuddyBoss 2.1.9 and below. For BuddyBoss 3.0+ see the version 3 setup tutorial. Install the BuddyPress plugin. Requires BuddyPress 1.6 or above (works with 1.8). Activate the BuddyPress plugin and follow the onscreen instructions. You will be asked to create a WordPress page to correspond with each BuddyPress component (Members, Groups, Activity, Forums, Activate, Register, Blogs – multisite only). Create these pages and link them to each component. Set up Forums per the onscreen instructions. You have the option to use a forum with each group, or to use a standalone forum that is not related to groups. If you choose to tie forums to groups, make sure “Enable discussion forum” is checked in the Settings section for each group you would like a forum on. The forum for each group will be accessible on that group’s menu and in the top level Forums page. If you choose the standalone option, you will be asked to download the bbPress plugin. You will be able to manage forums via the various Forums settings in the WordPress dashboard. Create your user profile fields by going to Users > Profile Fields. These are the fields your users will fill out to create their profiles. Note: If you are upgrading from a previous version of BuddyBoss, please refer to the Upgrading to BuddyBoss 2.0 instructions first. Upload the BuddyBoss folder via the WordPress admin or via FTP to your wp-content/themes/ directory. Make sure the folder is titled “buddyboss” and not any other variation. Remove the plugin “BP Template Pack” if you have it installed. This plugin produces error messages when used with a BuddyPress theme. At the bottom of the page, set Default Avatar to “BuddyBoss Man”. The BuddyBoss custom avatar will replace the default mystery man. Go to the BuddyBoss menu in your Dashboard. Upload your own logo. Make sure to click “Upload”. If Multisite is enabled: Go to Network Admin (top right) > Settings > Upload Settings and make sure “Images” is checked under Media upload buttons. Make sure both “Friend Connections” and “Activity Streams” are enabled. Make sure “Profile Wall Component” is enabled. Make sure “Picture Gallery Component” is enabled. Users can now upload photos to their Wall, and any photo they upload is viewable at the new Photos tab on their profile. “Search Form Header” can be blank. Whatever you put in there will not be used. Check all of the profile fields you would like to be searchable. Available in BuddyBoss 2.1.1 and above. Go to Appearance > Colors. Click into any text area until you see the color picker pop up. Click and drag the cursor to your desired color. Click the color wheel icon in the lower right of the popup to set that color. Once you have selected all of the colors you want to use, click Save Options at the bottom of the page. Note: If you get error messages, make sure to set _inc/css/auto.css permissions to be writeable (775 or 777) via FTP. Set “Front page displays” as “Your Latest Posts”. Your blog posts (created at Posts > Add New) should now feed into the homepage. Create a page and name it “Home” or whatever you want your homepage to be titled. Create another page and name it “Blog” or whatever you want your blog page to be titled. Set “Front page displays” as “A static page”. Set the home page you just created as the “Front page”. Your blog posts (created at Posts > Add New) should now feed into the blog page. Every page on your site can have a sidebar that you can place “widgets” into. By default, the blog index, blog posts and regular WordPress pages have a right sidebar, and most other types of pages do not have a right sidebar. As you add widgets to the other page template’s sidebars, the corresponding pages will automatically gain a sidebar containing those widgets. Add widgets by going to Appearance > Widgets and dragging the widgets you wish to use into the appropriate sidebars. When you open any sidebar box it will explain where and how that particular sidebar is used. If you are using the bbPress plugin it should then use the styles included in BuddyBoss. If you are using standalone bbPress (the old bbPress) then you need a separate template just for that as it’s its own system. The new bbPress is a standard WordPress plugin and thus it should adopt styles from your theme. I am using the plugin.. not stand alone.. It appears that it’s only grabbing the buddyboss styling if you use the Group Forums.. it’s NOT working with the site-wide forums option. Are you aware of this? I’ll have to look into this more. On our test environment we’ve used it with site-wide forums and it does use the BuddyBoss styling. is that meant to read “BuddyPress 1.5 or above”? Good catch. I just updated it to say BuddyPress 1.5. Yes you are due for a free upgrade. Just follow the update instructions. hi i have just bought this theme and loved it.. i just want to ask that i am unable to run BP profile search plugin even i have installed it. Can u please suggest me how to get it worked??? BP Profile Search should work with the theme. Make sure to go into BuddyPress > Profile Search to set it up. Check all of the profile fields you would like to be searchable. If you still cannot get it working, please post a thread for this in the support forum. how do i set up the theme so that when someone registers a blog they automatically get the buddyboss theme and nothing else? I’m not sure what you mean by this, can you elaborate? I have done everything people have said on this forum and the profile search does not work?? i.e. you only get a normal single search bar appearing??? any tips? I don´t know how to create independent forums for the site that are not related to groups. I installed bbPress and I created 7 forums, but they don´t appear on the FORUMS paga I created, it only says “New Topic” and it warns that you need to create a group to created a forum. Can someone help me install independent forums on my site? I have a static homepage set, and have it set to display comments but the comment box does not appear. Is something in Buddy Boss over-riding my selected option? I’d like to have the picture gallery component without activating activity streams and friend, is it possible ? Thanks. It is completely possible to activate the picture gallery component without activating activity streams. You can select each separately under the BuddyBoss Admin menu option in BuddyPress. – The picture gallery component is enabled, whereas there is no consequences on profile (no tab for pictures, or anything else). – When I try to disable it, I have this message: “The Picture Gallery is already inactive!”. I do have other theme in mind for the home page, will i be able to use different theme for the home page? You can install WordPress in a folder and have a static HTML page as your home page. Or you can install 2 instances of WordPress. I am trying to show city/state (which are custom profile fields) everywhere the name of members is shown. For example, member’s name is abc and his city-state are : “xyz-pqr”..
so, I want to show.. abc(xyz-pqr) everywhere the name is shown..
is it possible in buddyboss ? Rax this is possible but you would need to do custom work, find a plugin to do this, or hire a developer. I am planning on using modemloopers mobile plugin for Buddypress. Do you know off hand if Buddyboss works well with it or not? Jeff, unfortunately no one on our forums has any experience with modemloopers. If it is an absolute necessity and it does not work after your purchase we will issue a refund. How can I set the theme to 3 column? I enabled the photo upload, but the icon to photo upload on activity stream did not show up, what do I have to do? How can I disable that top menu and enable the admin bar? Unfortunately the BuddyBoss theme does not come with a 3 column format. If you want to utilize widgets then there are areas for each section of your site. If the upload photo button is not displaying then you most likely have a plugin conflict. The top menu is a BuddyPress menu, you should note that BuddyPress does not function like WordPress and has a completely different menu structure that you will miss out on with the WP admin menu. This is no simple task and out of scope since you would have the same issue with the BuddyPress default theme. I suggest you check out the BuddyPress forums for a solution. How can I activate the default dmin Bar on BuddyBoss? Hi, I recently purchased your theme and must say I love it! I just have a issue of the “like facebook wall”. I don’t understand why when I go to my wall I see everyone’s activity who I am friends with. When I go to my wall or the wall of a friend shouldn’t I just see that persons individual activity with related comments and not like the site wide activity stream? I’m getting an error message and don’t have the template plugin on my site. I just bought the theme, awesome. Is there a proper way to translate the theme? I have budypress in spanish and it has translated most, but there are some things inherit from the theme that are in english still. I purchased your theme because I really like certain components of it. I do already have a custom css theme I have built using the standard 2011 wp theme. How can I gain the functionality of your theme while keeping the look of my custom design? Is it possible to hire you to integrate it into the site? Please email me at [email protected] and I can make arrangements for getting this done for you. I’m curious how you fixed this. Is there a way to restrict the social network content to only registered users? And the second one it doesn’t appear the two buttons on the top: Log In and Sign Up. Please, let me kwno what I did wrong because I followed the instruccions. I apologize, we are in the middle of an update. We are fixing many issues that came up due to a premature release. We will be fixing all of these issues by Friday. Please bear with us one more day while we fix these issues. Thanks! Sorry but I need to add another problem. Custom Theme Options doesn’t work as well. You select a color an Save Options, but after you can’t see this colour in the webpage. I’m really disapointed. I hope find a solution or I’ll ask a refund. Please update to BuddyBoss 2.1.1. Custom theme options will work. We apologize as 2.1 was rushed and had a number of bugs. I have a problem, i have just posted a status when i tried to delete it it gives me an error page… And I can not mension other users… How do i solve that? I managed to change colors… Delete still doesn’t work… Please I need help. I have searched online, thinking maybe i could find a solution… There seems to be nothing. BuddyBoss: entry.php(activity/entry.php) and still i havent found a solution… anybody please help. Kindly suggest best plugin for it…. When going to register, it shows by all fields “This field can be seen by: Anyone” even though some of the fields are actually set to default to other settings in the admin. This is probably a BuddyPress issue, I suggest you check their forums if anyone has seen this issue as well. Thanks. Let me try there first. Hi. I’m currently running the latest but for some reason, i don’t see the DELETE option when logged in as anything order than the admin. Is there an option I should Turn On? I am not familiar with ipage, what exactly is your issue, with BuddyPress or our theme, BuddyBoss? Hi i cant upload the buddyboss wall plugin i get the below message? BuddyBoss is a theme, not a plugin. Try to install it as a theme. How to remove navigation bar/admin bar completely ? Great theme, I’m seriously considering buying it. Question, do logged in users still have to enter in their name and email to post in the blog area? Because I’m logged in here and I have to. I took a look at your site and it seems you’ve gotten this resolved now. It’s working fine for me. The webpage at http://www.hi5iv.com/register has resulted in too many redirects. Clearing your cookies for this site or allowing third-party cookies may fix the problem. If not, it is possibly a server configuration issue and not a problem with your computer. plz check out my .htaccess file code, it is correct or not, if not then tell me code. 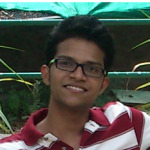 I m currently using bounce theme to create a community website. 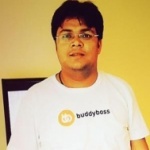 I love buddyboss features n would like to integrate the facebook alike features into the theme. Is it possible for you to integrate buddyboss system into the theme. At some point we will strip out the features into plugins, and then you will be able to integrate them into your theme. We’re not at that point just yet.